Proforce Complete Guide to Edible Plants Book | BUDK.com - Knives & Swords At The Lowest Prices! Anyone who has spent serious time outdoors knows that in survival situations, wild plants are often the only sustenance available. 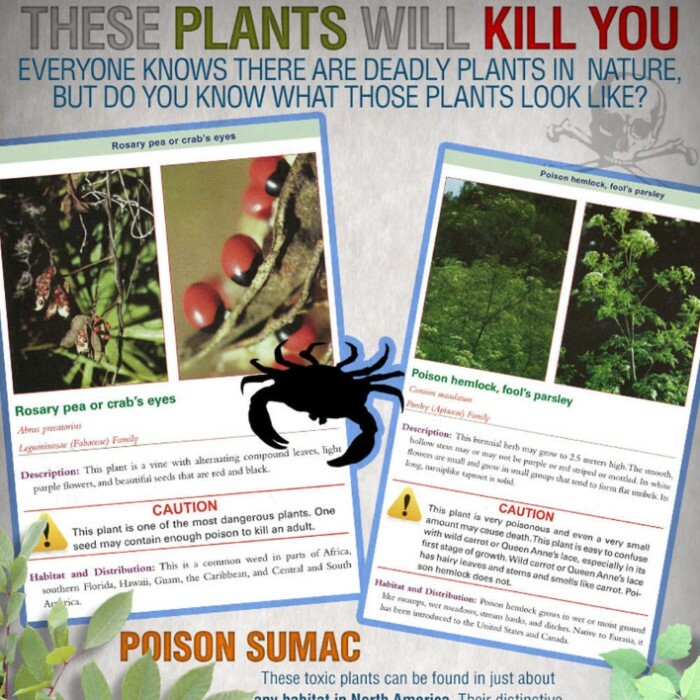 The proper identification of these plants can mean the difference between survival and death. 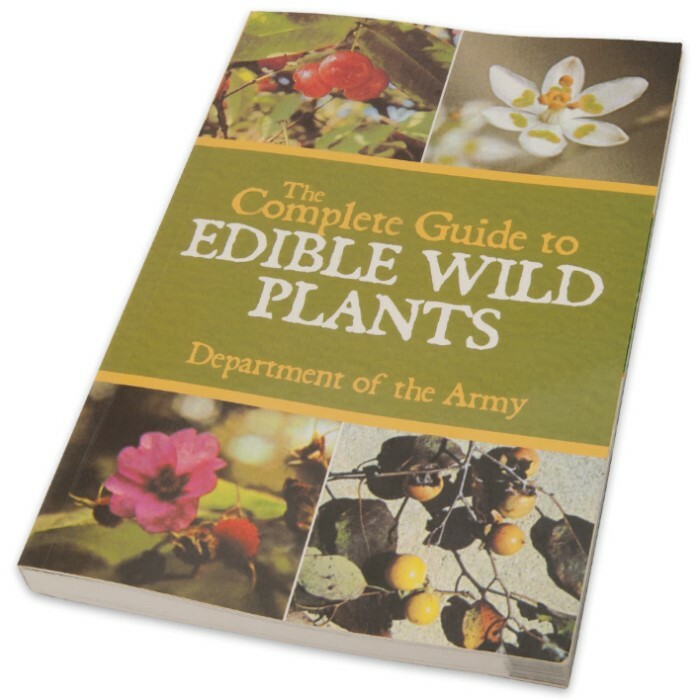 This book describes habitat and distribution, physical characteristics, and edible parts of wild plants—the key elements of identification. Hugely important to the book are its color photos. 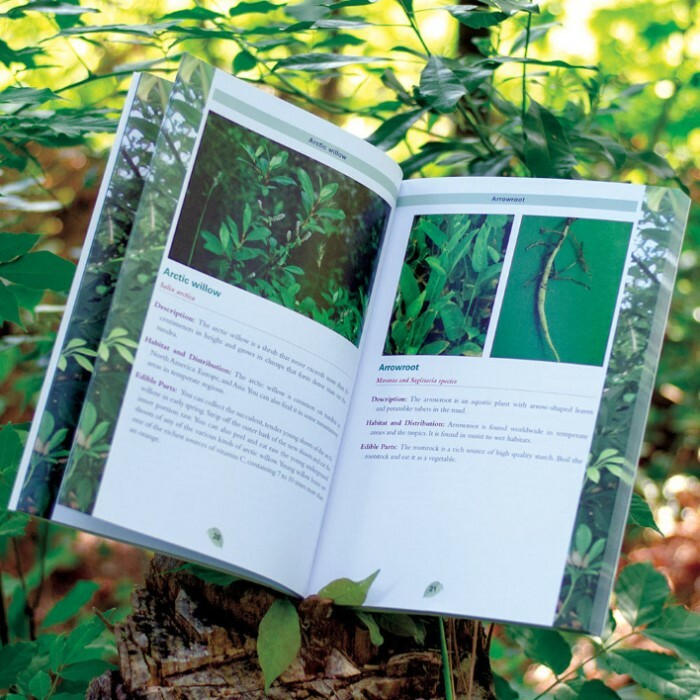 There are over one hundred of them, further simplifying the identification of poisonous and edible plants. No serious outdoors person should ever hit the trail without this book and the knowledge contained within it. 160 pages, 6" x 9"
Great identifier and teaching for anyone to pick up and understand. If you like the out doors then this is up your alley. I've had this book for about 6 months now and i've put it into use. There are so many different plants that i didn't know had edible parts until i read this. I'm suggesting that you buy this if you like spending time out in the wilderness. Bought this for a friend who has really enjoyed reading this book and is glad to have the benefit of this knowledge. really great and interesting book, read nearly the whole thing in one sitting. but I found a few typos, and some of the pictures are inaccurate as well as the quality of some of the pictures aren't too good. I love the book and the others that I have. I have given your catalog that was sent to me to other people and hope they order theirs soon. I would definitely make room for this book in a survival pack. But in the meantime, it's great to know what resources are available now, especially for dehydrating to pack the pantry. This book is a fine book to have with you when you go camping. It's also handy when taking nature walks. this book is great to have if you ever find yourself in a survival situation. As an environmental scientist I thought it was an excellent book of information.